Although the concept of ‘green building’ has been in Europe for more than two decades, it only landed in China 10 years ago. Motivated mainly by energy concerns the Chinese Government are now starting to catch up, say the EU SME Centre. Increased government focus on green building has led to an optimistic forecast for this sector in China. 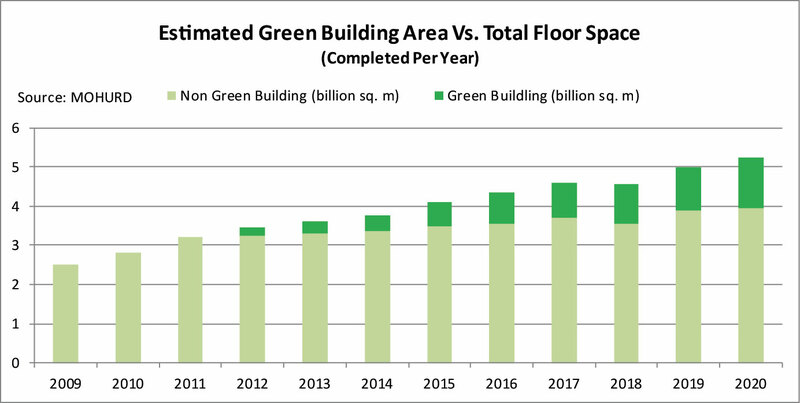 The graph below shows the governments’ ambitious plan, which indicates an increase in green building construction from just one per cent in 2012 to 25 per cent in 2020. 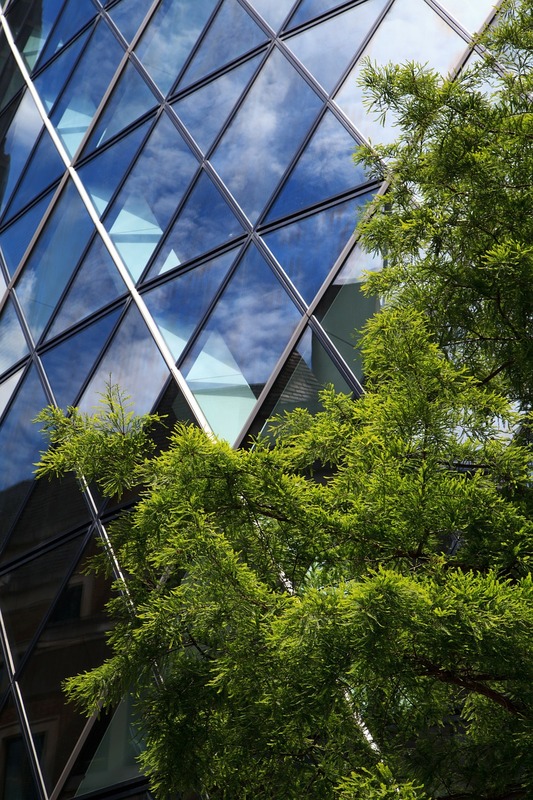 Additional incentives have also been introduced to encourage more green building, including tax benefits, special financial services for residential green building purchasers and land policy adjustment for green building projects. On a regional level, five provinces (Guangdong, Liaoning, Hubei, Shanxi, and Yunnan) and eight cities (Tianjin, Chongqing, Shenzhen, Xiamen, Hangzhou, Nanchang, Guiyang, and Baoding) were required to include low-carbon development models in their 12th Five-Year Plans. In tandem with this movement, ‘eco-cities’ have started to gain more popularity in China. One of the best-known examples is the Tianjin Eco-City, a project in partnership with the Singaporean Government. Over 600 standard systems for green building exist worldwide. Some relate to individual systems and products such as air conditioners and heating systems, while others are intended to cover the overall standards for the whole building. Today, most green building projects in China follow either the LEED (Leadership in Energy & Environmental Design) standard or the Chinese 3-star standard. Introduced in China in 2003, the LEED standard had an initial small uptake in showcase real estate projects of some A-class offices and industrial buildings run by foreign companies. It was not until 2007 that the standard started to develop in China, showing strong and stable growth since then. Meanwhile, the Chinese Government developed its own standard, the 3-Star system which was introduced it in 2006. Contrary to LEED, the 3-Star system incorporates only two categories (residential and public buildings) and takes into account a different set of criteria. The government’s push towards green buildings and its own standard has led to a greater application of the Chinese 3-Star standard over the past few years. However, as LEED carries a stronger brand name, especially in high-class private residential buildings, it is expected to remain a strong player in the ‘specification war’ between the two standards in China. Identify the right time for entering the market: SMEs’ entry strategies will differ dramatically depending on the market situation and positioning of the specific product or service on the S-curve. Understanding the market, the position on the curve, growth rates, and success factors are crucial for identifying the right timing. Entering too early will cause you to spend a disproportionate amount of time convincing the market; entering too late will make it difficult to exploit your branding. Evaluate potential partners: Developing personal relationships and conducting basic due diligence with potential partners is time-consuming but crucial in China. The wrong choice can damage your market entry. Adapt your business model: Experiment with different offerings, pricings, and sales channels to find out which model suits your local market best. Pay close attention to government regulation updates: China’s government can be very efficient and quick in issuing new regulations and policies, which can create opportunities or break business models overnight. Take early steps to protect intellectual property: Register brands and website addresses, prepare non-competition contracts with employees as early as possible. For further advice, contact the China IPR SME Helpdesk in Beijing (www.china-iprhelpdesk.eu). Prepare for relentless price competition: A business model based on price competition is difficult in the Chinese environment where local competitors are capable of cost-cutting and sales practices unavailable to western companies. SMEs need to build a business model based on niche products, brand names and marketing, as well as European quality. 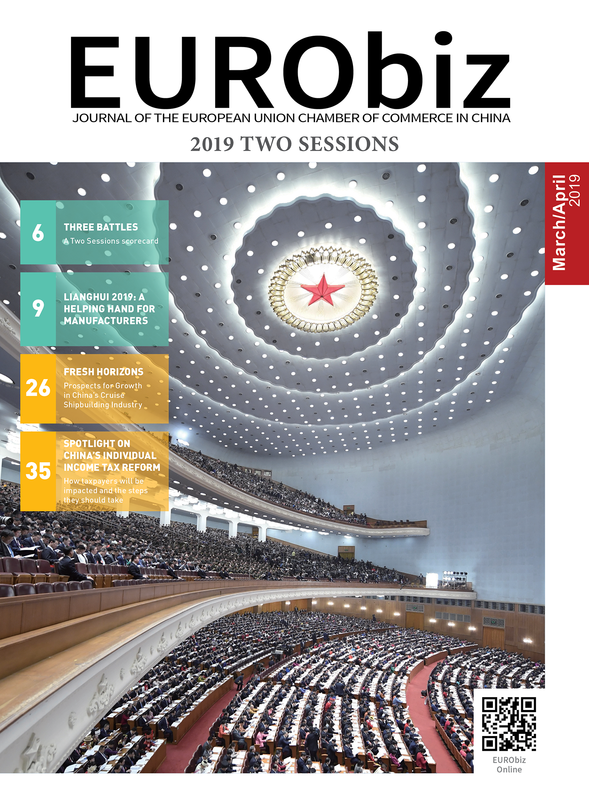 To get more advice on developing business in China’s green building sector, download the full report from the EU SME Centre’s online Knowledge Centre. The EU SME Centre helps European SMEs to get ready for China. Financed by the European Union, the Centre provides practical information, confidential advice, training and business tools to better equip SMEs to develop their business and tackle challenges faced in the Chinese market. All services are available on the Centre’s website after registration. Share the post "China’s Green Building Sector"